Based in beautiful Auckland, New Zealand, Magrette makes affordable nautical inspired mechanical timepieces. 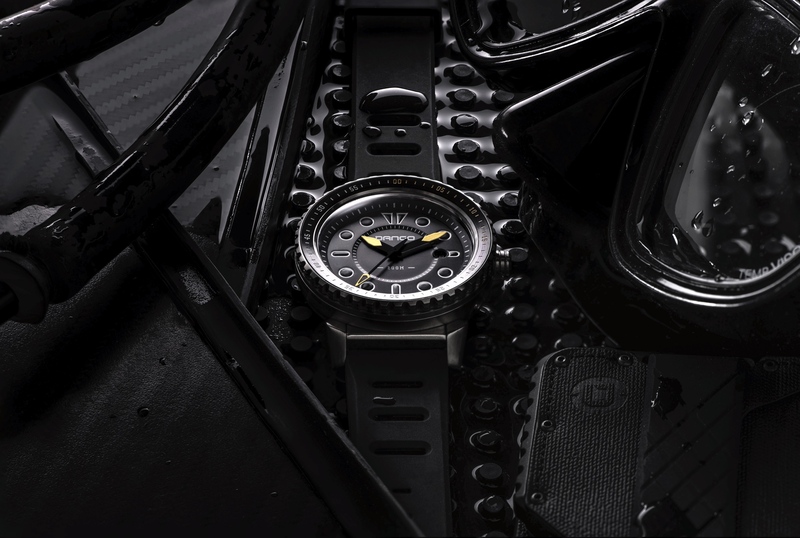 Their newest wristwatch is the Magrette Regattare 2011. At Magrette, minimalist dials and Panerai-like cases are typical, and the Regattare 2011 is no exception. 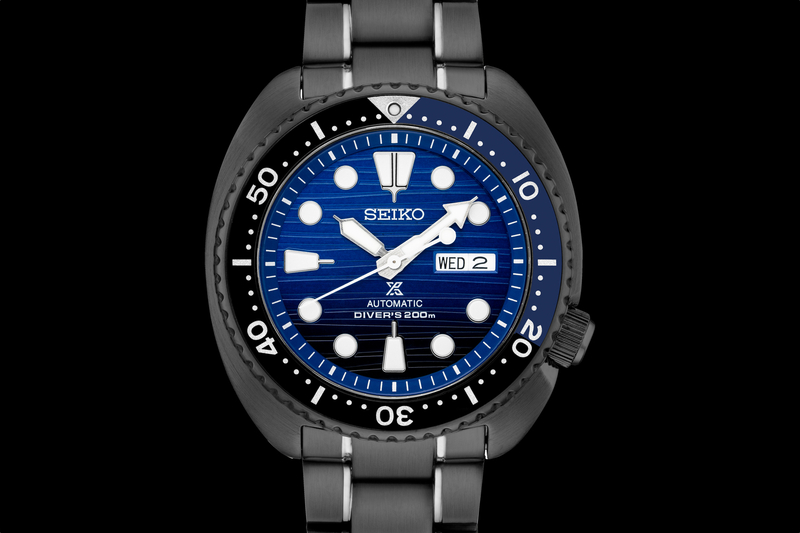 The most notable feature of this diver, is an internal dive bezel. Instead of turning an exterior uni-directional bezel, like those seen on most dive watches, the bezel is internal and controlled by a crown. To set your desired time, from 0 to 60, you need to unscrew the crown at 2 o’clock, turn the bi-directional internal bezel to the desired time, via the crown, and then screw the crown back down. It is a convenient feature, and the internal bezel turns very smoothly, however, it should be noted that external rotating bezels are slightly easier to operate, since you do not have to unscrew a crown. 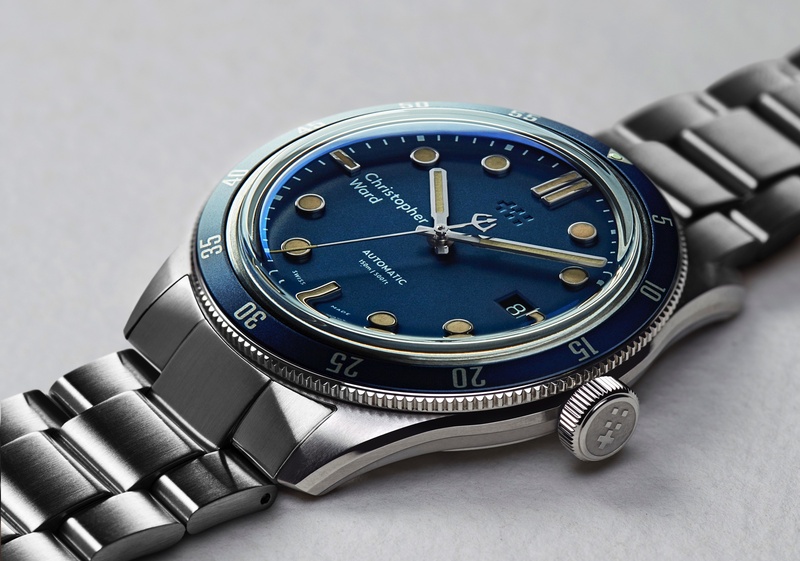 However, because of the locking crown, it is not possible to accidentally change the time while underwater, whereas that is a potential issue with external dive bezel timepieces. Powering the new Regattare is a reliable Japanese Miyota 8215 caliber. If you’re wondering how this Magrette is so affordable, the Miyota 8215 caliber is the answer. While not as desirable as a Swiss movement, those looking for a reliable mechanical watch, for about five hundred bucks, should be satisfied. Self-winding mechanical movement with no hand winding. Power reserve is 40 hours. The Regattare’s stainless steel case is 44 mm in diameter and features a mixture of brushed and polished surfaces. Sapphire crystal is double domed and a features a single anti-reflective coating. Dial has race-style numerals, date at 4 o’clock and C3 Superluminova hands and dial. Thanks to screw-down crowns and a solid steel caseback, the Regattare 2011 is water-resistant to an impressive 500 meters (1,640 ft). Each timepiece comes with two straps, a water-resistant black leather strap with red contrasting underside, and a black rubber strap. Both straps have signed stainless steel buckles. Timepieces are shipped anywhere in the world and presented in a vintage style roll case inside an eco pine display box. Limited to 2011 numbered pieces worldwide.